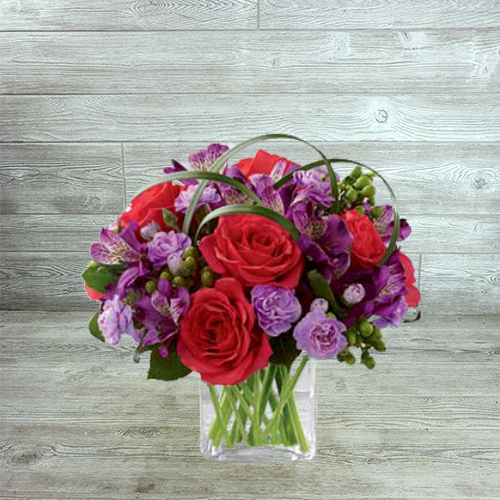 Express yourself beautifully with the FTD® Be Bold™ Bouquet by Better Homes and Gardens®. 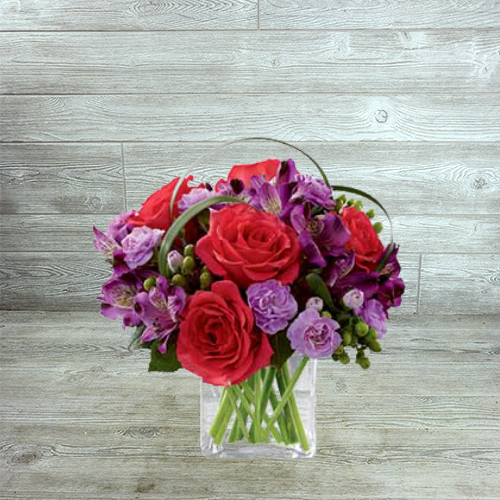 Showcasing hot pink roses, purple alstroemerias and lovely lavender mini carnations, this stunning arrangement offers plenty of verdant variation – with green hypericum berries, bands of lily grass and fresh foliage. 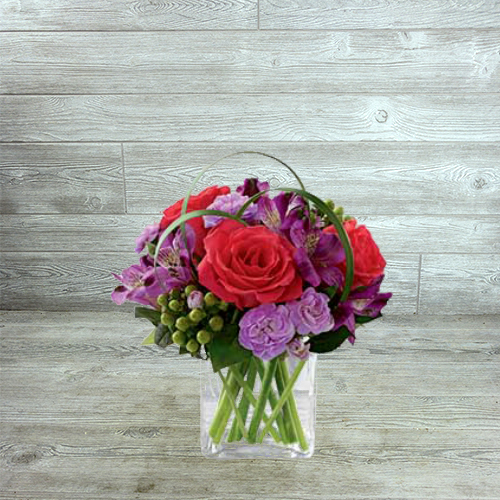 Delivered fresh, this bouquet arrives in a contemporary clear cube vase and makes a lovely anniversary or birthday gift. Make this occasion the happiest ever with our optional add-on gifts, like a festive Mylar balloon, soft and cuddly stuffed bear or a gourmet box of chocolates.